Trumpeter Lanfried, photographed late in life. I’ve always wanted to write a blog about developments in the “Lives of the Light Brigade: The EJ Boys Archive” and the related Charge of the Light Brigade website, but I’m such Old Technology myself, and so allergic to instruction manuals, that until now the prospect has been too forbidding. Too many things to learn, too many decisions to be made. But I’ve hit on a plan. I’ll try to write shortish pieces fairly regularly to reflect some of the material I’ve come across or been contacted about. (I frequently receive emails from people who come across the site, chiefly wanting to know more about an ancestor, or suggesting amendments and additions.) The articles I write are likely to be fairly rough and ready visually and technically, but I hope to get the hang of it as I go along. ‘Hundreds flocked to the town and village squares of England to hear the sensational recording that had been freshly cut in the summer of 1890. Not so much for the message, but for the medium. The wax cylinder toured by George Gouraud, an associate of Thomas Edison, was the iPhone 6 of the late Victorian era. The EJBA contains quite a lot about Trumpeter Lanfried’s life, his antecedents and descendants, and about the recording. 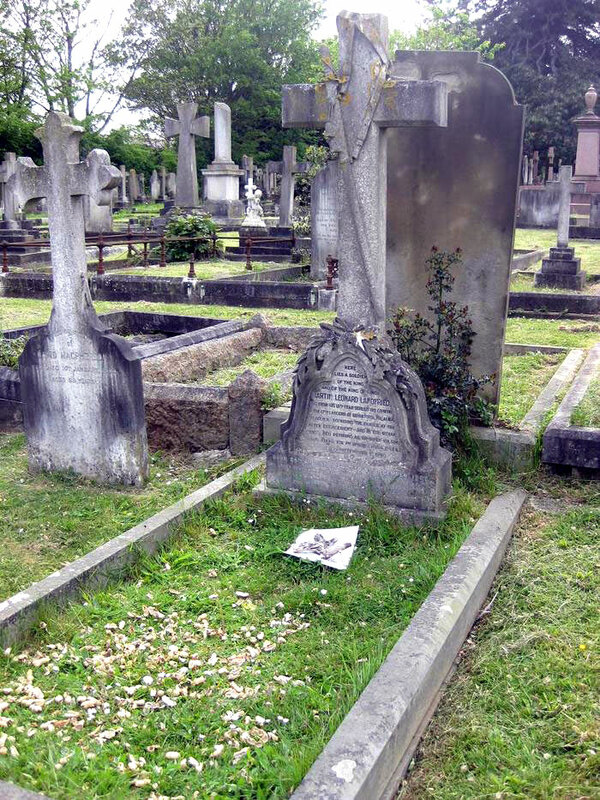 Notice Martin Lanfried does not claim to have sounded the Charge at Balaclava – the evidence is overwhelmingly against anyone having done so, in spite of numerous claims to the contrary (including his own gravestone). Nor that the trumpet he is playing was ever at Balaclava. Or does he? It really is quite ambiguous. After he recovered from his injuries, he went out to India on Brunel’s S.S. “Great Britain” to suppress the “Mutiny” there. He was discharged in 1865, and went to live in the Brighton area, where he worked as a Draper’s clerk and as a musician, married twice, and had at least seven children. ‘Here lies a soldier of the King and of the King of Kings. 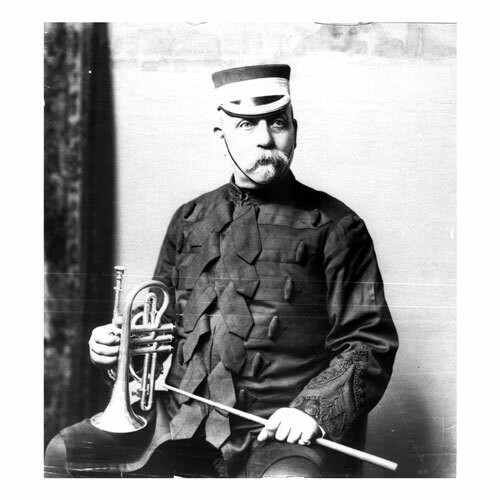 Who from his 15th year he served his country in the 17th Lancers at Sevastopol, the Alma, Balaclava – sounding the charge at the latter engagement – and in the Indian Mutiny, and retiring as Trumpet-Major in 1865. Joined the 1st Sussex R.G.A. (Vols. ), becoming Bandmaster in 1890. Born 25th August 1834. Died 8th December 1902. Let me know what you think of this first blog. It’s a start.